Getting into the Valentine’s Day spirit, Dunkin Donuts has released a limited run of seven specialty Cupid’s Choice Donuts. The promotion, which runs from which runs from Jan. 29 to Feb. 14, has doughnut enthusiasts getting into the holiday spirit. 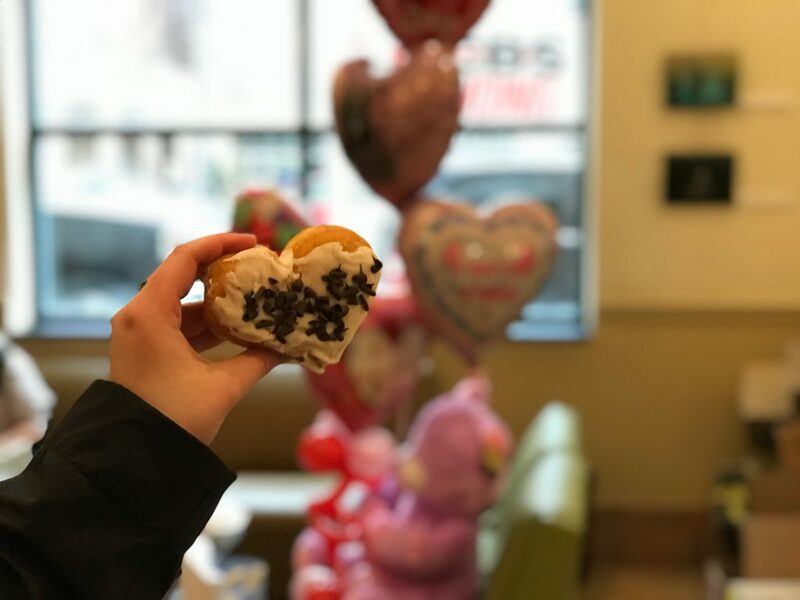 Stopping at the Market Square location before a class or a study session for a quick sugar fix, the Cupid’s Choice Donuts hits the spot, according to freshman Alexis Slavicek. Of the doughnuts, the Boston Dream mimics a Boston Crème except in the shape of a heart with red icing drizzled on top. The Pillow Talk is a vanilla flavored doughnut with pink icing and white and red shaped sprinkles on top, while the Donut Be Jelly is a classic jelly-filled pastry with a pink and red drizzle. Then there are the more visually appealing Cupid Donuts such as Roses are Red and Pretty in Pink which are decorated with roses and festive sprinkles. Chocolate lovers need not worry as there are donuts to satisfy your chocolate craving too. The Chocolate Double Date is a spin on Dunkin’s classic double chocolate doughnut with white icing and chocolate sprinkles and will leave you craving a glass of milk. Finally, the Choc Full O’ Love is an original chocolate icing donut with pink and white hearts on top. “I really like the Chocolate Double Date donut because it keeps its original taste, but also has a nice holiday feel to it,” said sophomore Sports, Arts, and Entertainment Management major Julie Bowser. After trying all seven doughnuts, she and her roommate, Georgia Fowkes, agree the Pretty in Pink takes the cake. Slavicek she enjoys a doughnut before her classes but wishes the company would add specialty drinks as well. 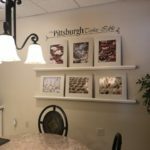 “If they added a coffee to the promotion, preferably chocolate covered strawberry coffee I’d drink that,” said Slavicek. These Cupid’s Choice Donuts can be bought as a single, half dozen or a whole dozen, but only while supplies last, so you can pick some up on your way home for you and your sweetheart before this promotion ends!